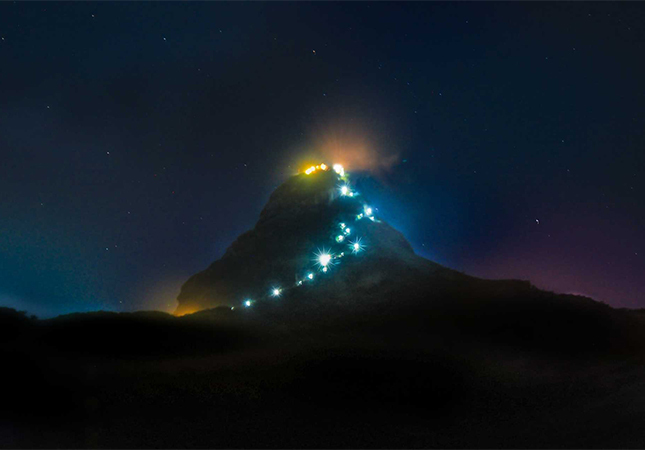 The Sri Pada pilgrimage is a seasonal event that takes place between the months of December to May each year, where thousands flock to pay homage to sacred footprint atop the Adam’s Peak. 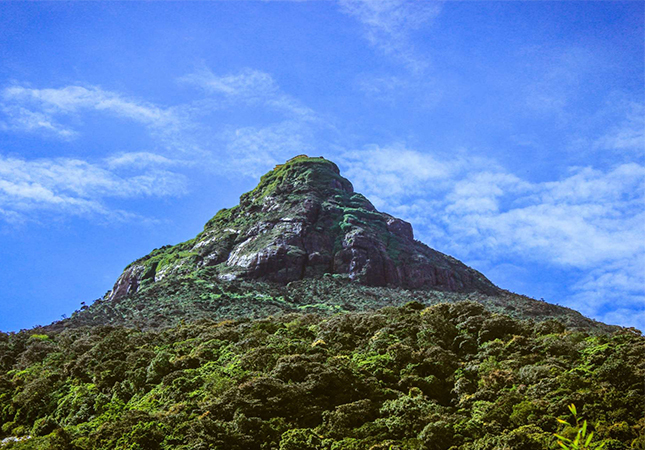 Few mountains the world over might have attracted as many pilgrims as this one which soars 7000 feet above sea level and is situated off Ratnapura, the city of gems. The pilgrimage converges the nation’s four religious faiths. The sacred footprint is, according to the Buddhists, that of Buddha who visited the peak at the invitation of its guardian deity. To the Hindus it is that of Shiva, the great Hindu God of Destruction. To the Christians it is that of St. Thomas, whilst to the Muslims it is that of Adam who, post-expulsion from the Garden of Eden, took refuge on this mountain. 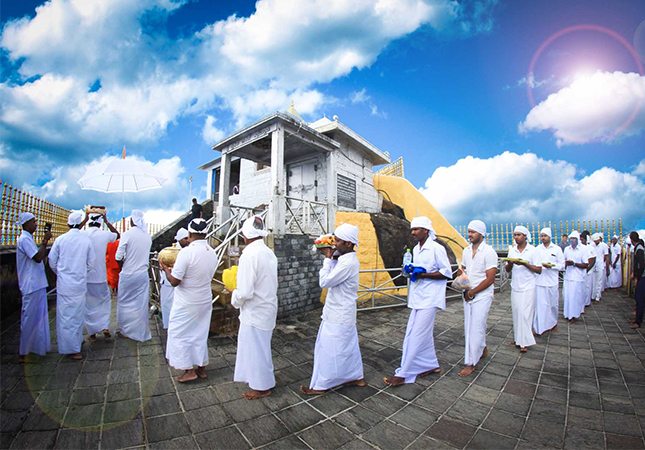 The Sri Pada pilgrims follow a number of traditions customs. At a certain point during the climb, pilgrims pause en route to throw a threaded needle into the bushes, commemorating the legend that Lord Buddha paused to mend a tear in his robe during his climb. When crossing the Seetha Gangula, a stream about half-way to the summit, pilgrims cleanse themselves with the icy water, which helps refresh them for the final climb. It would be considered crass and certainly lacking in religious devotion to ask how much longer it will take to reach the summit. Instead, passers-by exchange the greeting “Karunavai” or Peace. Many devotees recite religious poems as they climb to help them on their arduous journey. 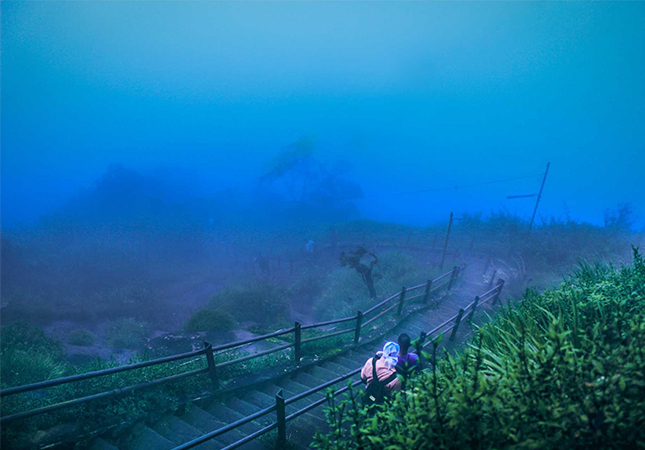 Shortly before the summit, where the steps become an almost vertical stairway, during the height of the season, pilgrims may have to wait in line for as long as half an hour before proceeding to the small platform on top. After completing their worship, pilgrims ring a bell, once for every visit. It is not unusual to hear the bell rung a dozen times or more by devout pilgrims who have made repeated voyages to the holy site.